Our licensed instructors have over 15 years of teaching drivers proper procedures and techniques of safe driving skills. They have all received the proper educational coursework, passed criminal background investigations, and maintained good driving records. Mr. Leeds had been in the education field for well over 35 years when he started working at Old Dominion University, Norfolk, VA in 1982. He moved to Rhode Island in 1987 and accepted a position at the US Naval War College. He has worked at the Northern RI Collaborative and Tiverton High and Middle Schools. In addition to working in the education field, Mr. Leeds has worked for Marriott International for almost 30 years in a variety of positions. In 1995, Mr. Leeds began teaching RI driver education classes for the RI Department of Education. This all changed in 2012 when he purchased the Tiverton based JB Driving Academy and changed the name to the Newport County Driving School and began behind-the-wheel instruction. Mr. Leeds is a proud member of NETSEA, ADTSEA, and DSAA; is CPR, First Aid, and AED trained; and has had a current BCI check. 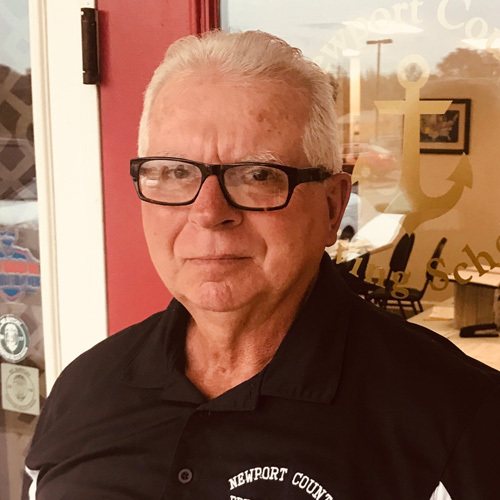 Mr. LaPutka joined Newport County Driving School in 2017. He works with client outreach, marketing, social media, and client relations. He studied business management and marketing at the Canyons Education Center in Sandy, UT. He also attended Salt Lake Community College in Utah. He attends seminars and annual conferences with Mr. Leeds through both Driving School Association of the Americas(DSAA) and American Driver and Traffic Safety Education Association (ADTSEA). Through these seminars and conferences, Newport County Driving School remains current with safety regulations and educational practices. Mr. Martins is a retired senior patrolman with the Portsmouth Police Department and a veteran of the RI National Guard (as a Staff Sergeant-BNCO Instructor) and US Army. He also worked at Jai-Ali in Newport (currently Newport Grande) as the Head of Security. Mr. Martins is currently the Head of Security at the Carnegie Abbey Club in Portsmouth, RI. He has many other qualifications that are all related to safety and security making him our "safest" driver with students. Mr. Martins generally talks to the students frequently about their own safety while driving in the 21st Century. Mr. Martins is a member of NETSEA; is CPR, First Aid, and AED trained; and has had a current BCI check. Mr. Campion has been an educator since 1990 and is the Assistant Principal/Acting Principal of Thompson Junior High School in Newport, Rhode Island. Prior to becoming an Administrator, Mr. Campion worked at Portsmouth High School for 12 years. Mr. Campion began coaching high school sports in 1988. He currently coaches youth baseball and soccer in the town that he resides. His lengthy background in education and working with children is definitely an asset when instructing students behind-the-wheel. Mr. Campion is CPR, First Aid, AED trained, and has a current BCI check. Ms. DeSantis has been a teacher assistant for the Tiverton Public Schools and the Newport County Regional Special Education Program since 2016. 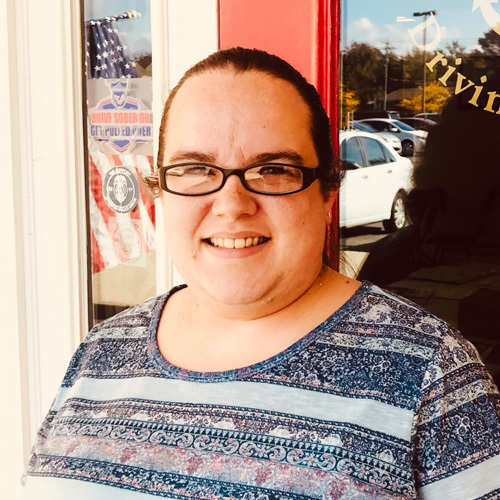 Ms. Melysa brings a very calm, supportive demeanor to her teaching style and generally works well with students who may be having minor struggles with driving. She has worked in the driver education classroom on multiple occasions assisting students with their IEP accommodations. Ms. Melysa can bring the classroom into the car and car into the classroom which can be an important teaching tool. Ms. Melysa is CPI, CPR, First Aid, and AED trained, and has a current BCI check. Mr. DeArruda has been an active educator since 2011. He graduated from the University of Rhode Island in 2011 with a Bachelor's Degree in Music Education. He has been a musician most of his life, having picked up the trumpet in the 5th grade. Mr. DeArruda has taught in public schools in Rhode Island and Massachusetts at all levels. He has taught at East Providence High School, Portsmouth Middle School and at several elementary schools in New Bedford, Massachusetts. He is currently a certified teacher in the state of Massachusetts and a private instructor of brass instruments at TJ's Music in Fall River. Mr. DeArruda is a member of the International Trumpet Guild and has attended 3 conferences. He is also a member (1st Trumpet) of the American Band, a semiprofessional Wind Ensemble from Providence, RI. Though music may be his passion, Mr. DeArruda finds a way to connect with students of all backgrounds and abilities while teaching. Eric Thomas is an educator through and through. He has been teaching math to 6th graders for the past 20 years. Eric has a Bachelor's Degree in Math Education and a Master's degree in Education Administration. Teaching is in his blood. He has coached football both at the Pop Warner level and the High School level. He has tremendous experience working with students of all ages. Eric runs a successful aquatic charter services during the summer and speaks to audiences at regional boat shows and fishing shows. He prides himself on being calm and patient in stressful situations on the water and on the road while instructing.